A dashcam captured shocking video footage of a semi-truck flipping on its side and colliding with an SUV in Abbotsford on Sunday. 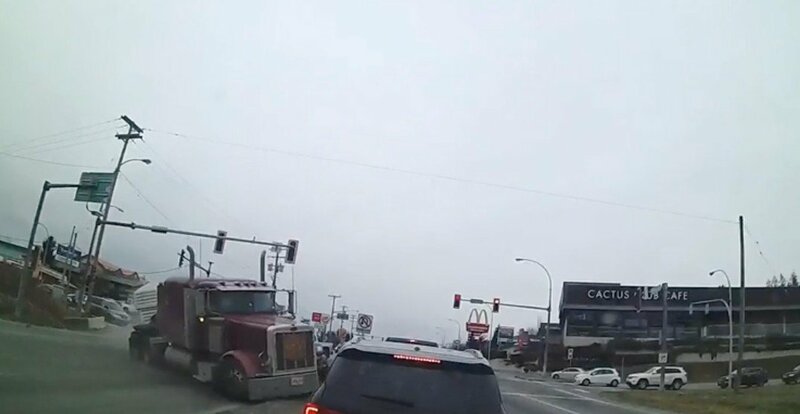 The footage, posted on Reddit by user Frost92, captures a white pickup truck driving into the middle of the intersection at Sumas Way and Lonzo Road hitting an oncoming semi-truck. The semi then swerves into other lanes and crashes into an SUV. According to Abbotsford Police, roads were closed for several hours as emergency crews responded to the accident.